Complete units are available for short term or long term hire. Hire and Site service. We can arrange the expert installation on your premises, leave the units to collect data (hire), followed by us collecting the units and submitting a report upon completion of the test. Go to our On Site Flow Verification services page for further information on site services. Do you want training on the use of the Flowmeter? This clamp-on ultrasonic flowmeter enables you to measure flow in pipes with diameters from 10mm up to 6 metres, including metal and plastic pipes, and even concrete lined pipes. High temperature transducers are rated at +200C. Hire for 1 day or 1 week (or longer!). On-site training can also be provided so you get the best out of the equipment. It also makes future rentals a breeze. This unit is designed to measure compressed air or gas. In metal pipes, the line pressure needs to be above 5 Barg and for plastic pipes, the line pressure can be as low as atmospheric. The new FLUXUS G608 portable gas flow meter is based on the widely used, highly reliable and versatile G601, but has been specifically engineered for its use within hazardous areas and is FM IECEx Zone 2 approved. It is the ideal solution for gas flow measurement in potentially explosive areas, whether for a temporary replacement of a stationary flow meter, check metering or service operations. Due to its certification, users are freed from obtaining a Hot Work Permit, making access to hazardous areas much easier and less time consuming. Measure mass flow, temperature and pressure, all in one compact unit. All values can be displayed simultaneously, and an optional easy-to-use internal data logger lets you upload the data into common spreadsheet programs such as excel. Flowmeter sizes from 0.5″ to 2″. Just like the in-line version, the insertion style flowmeter measures mass flow, temperature and pressure simultaneously and is available with a local display and data logger. 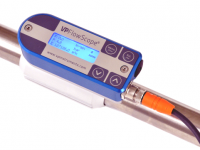 The insertion VP FlowScope is ideal for compressed air audits and for pipes with diameters of 1″ and larger. 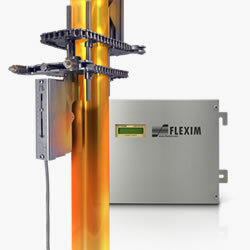 It has a standard probe length of 400 mm (other lengths available on request) and can measure flow rates up to 150 nm/s. Lodge an enquiry or give one of our friendly staff a call for a quote. This unit offers the same features as the F601 standard, with the additional feature that it allows for the measurement of both flow and temperature. Typical applications include thermal energy measurements on boilers and chillers. Two heating/cooling loops can be measured simultaneously providing that they are in close proximity to each other. The high-accuracy clamp-on temperature sensors are mounted on the outside of the pipe operate as a matched pair for best performance. The F601 Double Energy automatically calculates, displays, records and outputs the thermal energy directly in kW. Lodge an inquiry or give one of our friendly staff a call for a quote. An extremely resistant carbon fibre housing, together with its rugged transducer design, give the G608 high impact protection as well as resistance against oil, water and many other liquids. The G608 portable gas flow meter has the same efficient battery management system as the G601, offering over 14 hrs. of remote measurement time. Moreover, the measurement system can be fully set-up in less than five minutes due to intuitive user guidance and automatic transducer recognition. 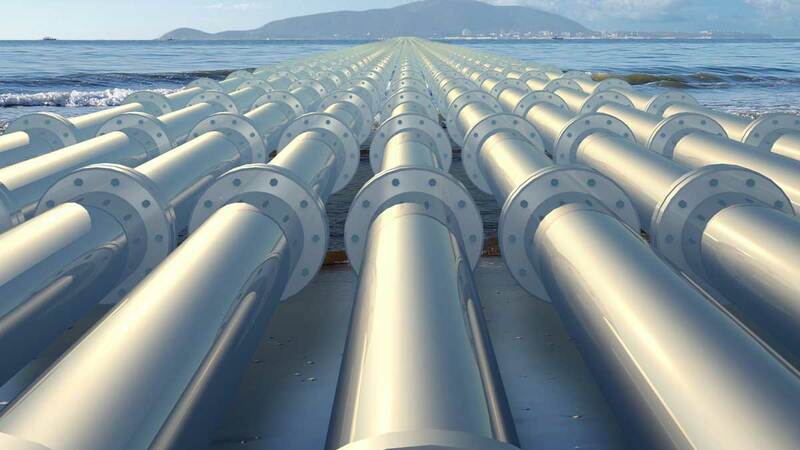 Its application range is unrivalled – from pipes as small as 0.25 to 63 inches inner diameter and temperatures ranging from -10°C to 200°C. No More HOT Work Permits! Does it matter what material my pipes are made of? 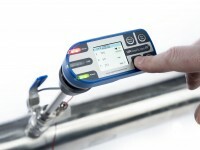 The F601 can measure flow through most plastic and metal and concrete pipes. Stainless steel, copper, carbon steel, PVC are all supported. Is there an optimum pipe diameter? Accurate readings can be taken on any pipe diameter. Can I measure any type of liquid? Most liquid types are accommodated. Water through to oil can be measured. What happens if there are solids in my liquid? For optimum results the liquid should be clean, although solid content can be as much as 10% and an acceptable reading can still be achieved. Do I need stop production to test? The ultrasonic technology allows production to continue without interruption. In fact, pipes must be full and flowing to allow testing to proceed. Empty pipes will return a zero reading. Where should I position the transducers? Transducers can be positioned on any orientation – horizontal, vertical or angled. They do need a good straight section to ensure the best flow profile. 10xdiameter upstream and 5xdiameter downstream is recommended. Flow measurement is still possible if the banks are shorter but there may be reduced accuracy. Do I need power to operate the flow meter? The F601 is fully portable as it is battery powered (for up to 12 hrs). Trickle charge is available when longer measurement periods are required. Where does my data get logged? The transmitter includes a built-in data logger and software to download readings to your computer. Up to 100,000 values can be recorded. Will there be a coupling material? There are 2 options of coupling material. Traditional coupling paste for standard applications or a coupling mat in the case of extreme temperatures. Can I measure temperature as well as flow? 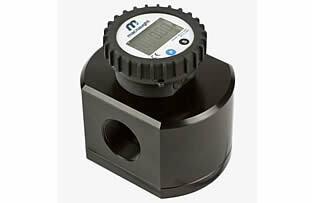 Double energy meters are available to measure temperature as well as flow. Please call to ask for special rates.